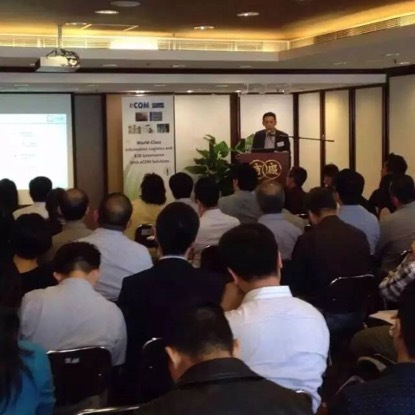 On October 20, 2015, Mr. Horace Mak, General Manager of Deep Blue eCOM Cross Border Trade (Shanghai) Co., Ltd., also known as eCBT, introduced the eCBT Ecosystem, O2O online platform, and Offline experience center to The Chinese Manufacturer’s Association of Hong Kong (HK CMA). 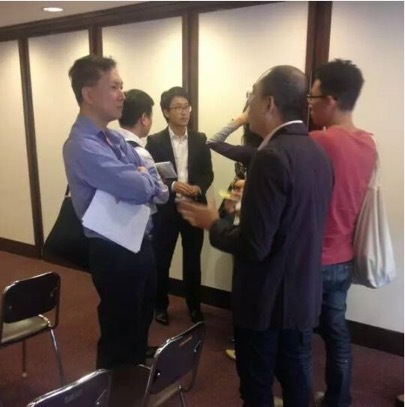 Meanwhile, Mr. Mak also introduced that eCBT is specialized in providing traders and customers with a one-stop cross border trade service. The offline experience center of eCBT’s O2O platform, not only provides product demonstration, but also direct procurement of cross-border products, a leading and breakthrough innovation in China. Through eCBT’s service, customers can enjoy cross-border trade bonded services and have products delivered straight to their doorstep. This service model helps China consumers avoid buying counterfeit products, receiving damaged products, or even losing purchased products altogether while being delivered from overseas. Mr. Mak also introduced the O2O model and cross border e-commerce site of Shanghai Waigaoqiao’s FTZ MALL. The venue’s full capacity is a testament of the enormous potential of China’s cross border trade market. Based on advanced IBM information technology, the eCBT platform aims at connecting cross-border trade industries, establishing cross-border trade e-processes, and reconstructing a valuable ecosphere among local and international industries, to realize brand-new trade paradigm of “buy from global and sell to global”. After the seminar, attendees showed great interest in joining eCBT’s community. 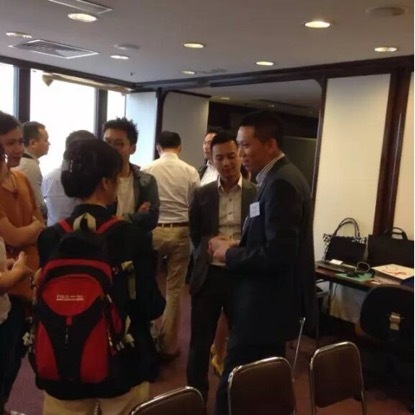 Dialogues revolved around how impressive and innovative the eCBT’s platform’s potential is and how the attendees can immediately capitalize by listing their products into O2O experience center. Together with Hong Kong companies, eCBT will launch a Hong Kong Brand Street to Shanghai Waigaoqiao’s FTZMALL, another innovative development for eCBT in the cross-border trade industry.